PUBG Mobile has owned mobile gaming since it’s release on 19th March 2018. There have been 100,000,000+ downloads in the ‘Play Store’ alone. The game took over almost overnight, thanks to it’s famous endeavor on PC. Everyone is in a race to reach the next rank, the top being Conqueror. 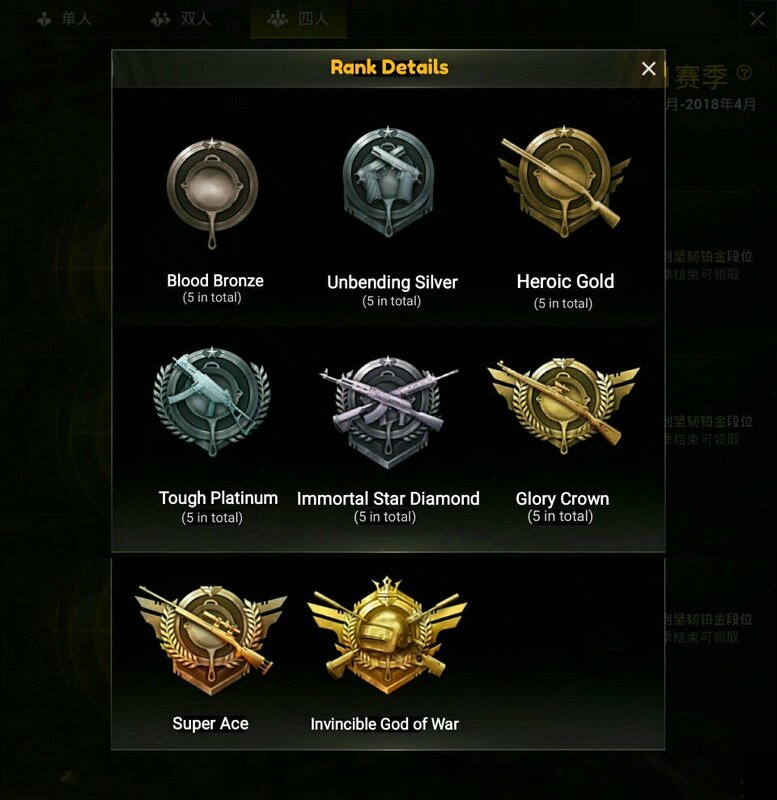 The ranking system is divided into tiers. Each tier is further divided into 5 subtiers; for example, Bronze I, Silver II, Gold V, Crown V and so on. Your stats in classic mode matches define your rating. 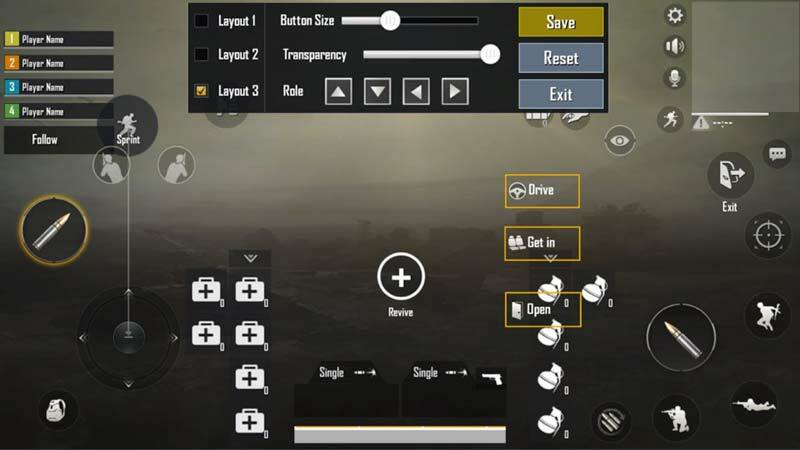 In this article, we will discuss some of the most efficient tips and tricks to easily rank up in PUBG Mobile. There are various layouts in the game. Find one that is suited to your style of playing. Below is the layout the I use.  It’s the default layout, but I find it to be the best suited for me. If you don’t feel it best for you, experiment around till you find the perfect one. This will help you to be faster and more accurate than other players, hence ranking you up. Perhaps one of the most important thing you need to win the game is the map knowledge. With Erangel, Miramar, Sanhok and the new Vikendi map, Tencent keeps things spicy. 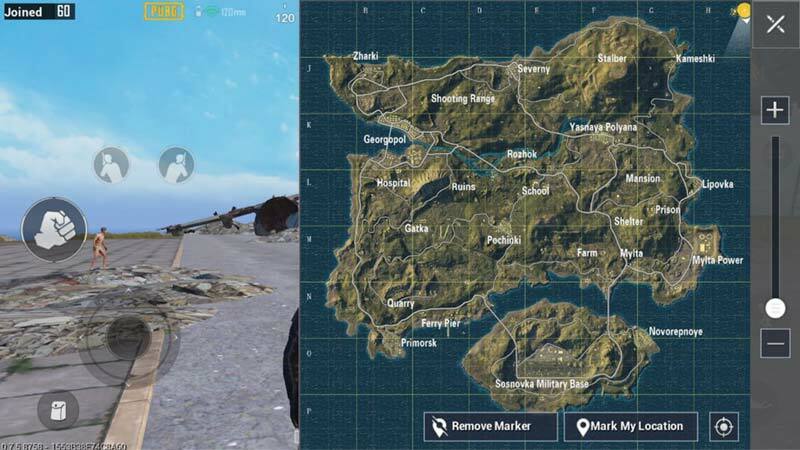 If you have experience playing PUBG Mobile, you probably know that some places like School, Novorepnoye, Geargopol in the Erangel Map and Hacienda del Patron, Pecado in Miramar, Paradise Resort and Boot Camp in Sanhok and Dobro Mesto, Krichas and Cosmodrone in Vikendi, although heavily filled with all kinds of loot, get overflown by players. It is very difficult to survive among so many players at one place, however good you are at the game. Yes it is very much possible that you’ll get excellent loot and a ton of kills, assuming you have a lucky day, but personally, I don’t need the feel to take that low of a chance. The most intensive areas in this map are Pochinki, School, Prison, Military Base, Novorepnoye, Yasnaya Polyana, Mylta, Mylta Power, and Georgopol. Aim to land in the less mainstream areas like Gatka, Primorsk, Severny, Zharki, Kameshki, Mansion, and others. A good strategy is also to land in those intensive areas mentioned above but observe where most players go and avoid that area. For example, if you’re landing in Georgopol, aim for the aparments present at the North-East side of that area. 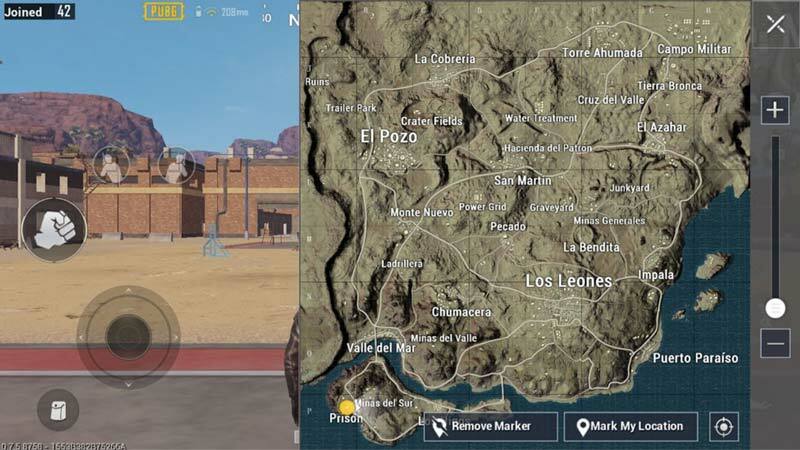 Same as before, intensive areas like Los Leones, El Pozo, Prison, Pecado, Hacienda del Patron, and some others should be avoided. Instead choose areas like Minas Generales, Junkyard, Impala etc. which will give you a way better chance at survival. 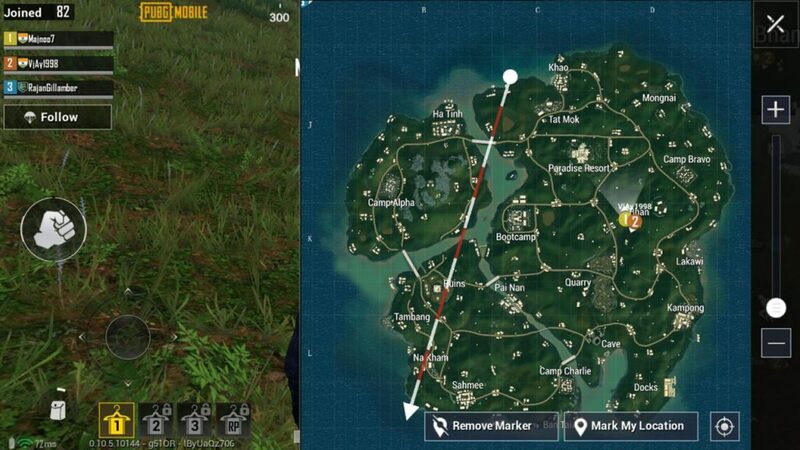 Erangel and Miramar are 8×8 km, while Sanhok is smaller with a size of 4×4. That implies you will keep running into different players twice as quick. This map is packed with intense firefights and is mostly suited to aggressive players. Bootcamp and Paradise Resort are the most intense areas on Sanhok. Cave, Pai Nan, Quarry, will be densely populated too. The safer areas will be the ones on the edge, although getting to the next circle will be comparatively harder. Camp Alpha, Camp Bravo, Camp Charlie, Docks, Ha Tinh are some examples of the more safer and sensible areas to drop in. This isn’t to say you shouldn’t drop at the intense areas at Bootcamp – just be more careful if you choose to drop there. You can get great loot quite easily in these areas – I was able to acquire a QBZ Assault Rifle and M24 Sniper RIfle with plenty ammo along with Level 2 protection and multiple first aid kits & energy drinks in less than 2 minutes. 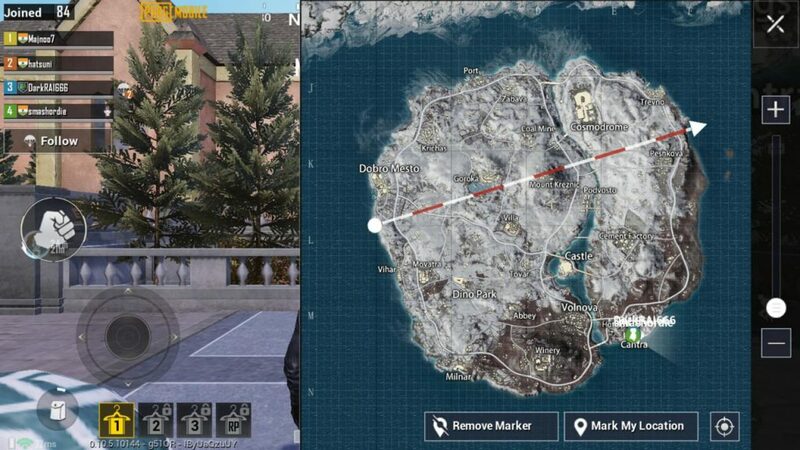 Vikendi, the new snow-map of PUBG Mobile, is quite interesting. Some of the heavily lootable areas in the map are Cosmodrone, Movatra, Krichas, Zabavas, Trevno, Dobro Mesto, Volnova, Milnar, Goroka and Castle. Though obviously, these are the areas will be more packed with enemies than others. Keep a similar tactic of survival in mind if you want to last till the end through skill and not dumb luck. If you have a low number of kills and you die before the top 10, you will get a bad rating. Or have a high number of kills and you die before top 10, you will get mediocre rating. If you have low number of kills and you survive till the very end, your rating will still be high, helping you to rank up faster. My point being, survival is the key to ranking up. Always keep an eye on the map Maybe you didn’t hear a footstep but it appeared on the map, now you will know if an enemy is nearby. In the later part of the game, try to stay at the edge of the circle and slowly move toward the center of the circle. Any enemy you will encounter is highly likely to be unprepared for you since they will believe that no one would come from the direction they just came from. Being on the edge of the circle is a great survival tactic but again, read the second point before trying it. In almost all apartment buildings, in case you are on some floor, and the enemy is on one of the floors below you, use the tactic I use to fool the enemy. Firstly, make some noise so that the enemy becomes aware of your position and tries to close in on you. Next, go to one of the side windows of the floor you are on. Jump out of the window but immediately flick the movement cursor towards the building. You will fall on the window of the floor below you. Since the enemy won’t expect you on the same floor, go bananas with your guns. Running low on bullets? Here is a tip to find extra bullets. These are the bullets that you missed out on and didn’t pick up, but were always in front of you. The bullets in the gun. For example, say you have a SCAR-L and you see another SCAR-L on the ground, with ammo all around it. Pick up the ammo, but also equip the gun on the ground. It will have one additional magazine already loaded which you can take by simply equipping it. Learn how to use grenades, smokes and stun grenades. This will go on to help you out of difficult situations. “ A grenade a day, keeps the enemy at bay”, or something like that. These throwables are extremely useful to kill/blind a hidden or downed enemy.